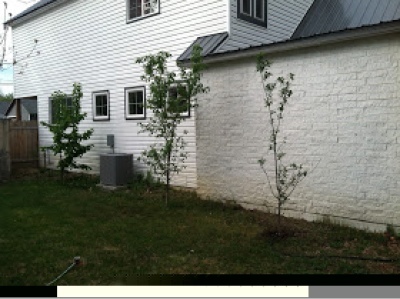 Several weeks ago we heavily pruned our fruit trees to train it to grow in an espalier fashion. We have a limited space on the side of our house that is the perfect spot for a wall of fruit. The cherry and peach tree are 3 years old which is the perfect time to cut them back since their roots are well established. 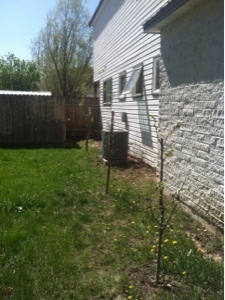 The plum tree was planted last year so I am hoping the trim won't shock it too much. I am confident that it will be fine if it is given lots of love this summer. 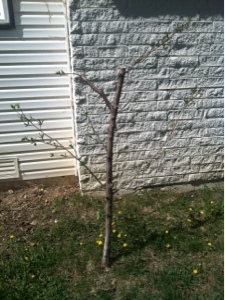 The time to prune your fruit trees is in March in Colorado - right before it starts to bud & bloom. Andy was very nervous about cutting the trees back so severely but I promised him that they would put out lots of new growth this year. This year we will definitely suffer a loss of fruit but it will be worth it after a couple of years. We had to really cut a lot off to train it to grow in a two dimensional plane. 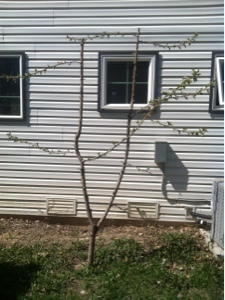 Please see my last post on all the info you need to learn how to espalier. Over the summer I will continuously prune & train the trees. 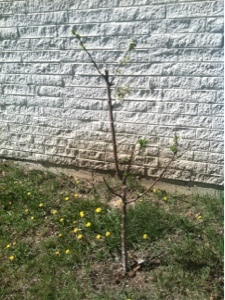 Don't forget to water and fertilize your trees! Here is a picture of them last summer before they were trimmed up. Here are what they look like now after a hefty haircut. Great job!! 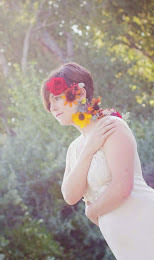 I really appreciate your work because you did this work own.Thanks for sharing this post.